Over time, furnace noise can become part of the family. Boom! The lights dim slightly, and a rush of air pours out of the vents or registers. Then, with a jarring thud, it is over. Gone as quickly as it came. At first, it is a charming part of your life. Something that reminds you of winter and the holidays. Like sledding, or your favorite wool blanket. But eventually, the endless cycle grows old. Instead of close family, the noise resembles a distant cousin who showed up for a three-day visit but is still on the pull-out sofa bed months later. If you are at this point then perhaps it is time to think about upgrading your furnace. Or, more specifically, researching the differences between fixed speed, multi-speed, and variable speed motors in your furnace or HVAC system. In their most basic form, furnaces are pretty simple. First, heat is created and then it is blown throughout your home. When the temperature rises to an acceptable level, the unit shuts off until it is needed again. Understanding the heating and cooling part is not hard. Each furnace comes with a specific efficiency rating, the AFUE, and A/C units rely on the SEER rating. But, blowers are more complicated. The following are the three most common types of systems with a brief explanation of how they work and their advantages and disadvantages. One speed for every need. Fixed speed furnaces fire up when it’s cold and shut off again when not. The air is moved with the same force from the beginning of the cycle to the end. This type of heat source has been around for a long time because it works and requires little thought or maintenance. You have two options, on or off. Of course, such a basic design also comes with a few drawbacks. Fixed speed, or single speed, units are not subtle. When it is time to pump air into your home, they come on with a vengeance, literally roaring to life and drawing significant amounts of power and fuel. The all or nothing approach means indoor temperatures fluctuate greatly with each cycle.When off, air ceases to flow, robbing you of the benefits circulation brings. To improve efficiency, create better airflow, and make a quieter system multi-speed blowers were introduced to HVAC units years ago. By adding a second, and sometimes third fan speed, better control was established for both heating and cooling your environment. The furnace may still roar to life, but it quickly transitions into a lower setting to quiet the unit and more gently bring your house to the desired temperature. Because a lower setting is utilized most of the time the unit is in operation, your furnace requires less power to run. The longer operation time also improves circulation. 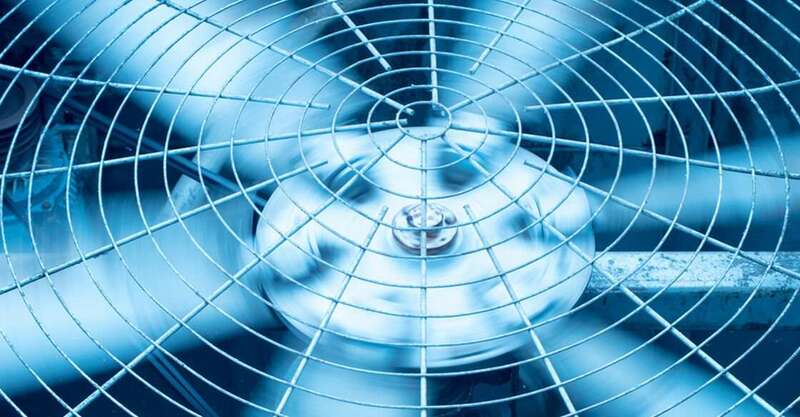 To take advantage of the multiple fan speeds, more complicated circuit boards were designed to tell your HVAC when to use each speed and for how long. Variable speed furnaces are the latest step in the evolution of blower technology. This newer approach utilizes a different type of HVAC motor; one that can operate at different speeds depending on what is needed. Far more sophisticated than its predecessors, variable speed units come on quietly, slowly ramp up to the necessary output, and then fade into the background. The system continuously monitors your home and makes adjustments to deliver the best climate control and air quality possible. A variable fan does not just heat and cool. It continually moves air through your home. Because this system uses filters, your air quality improves and humidity is reduced during the summer months. The system only operates at the lowest speed possible, saving you money on energy costs and producing less wear on the unit. Each of these options will heat and cool your home. Deciding which is best depends on how you feel about performance, cost, and savings over the life of your unit. ← How Does a Heat Pump Work?